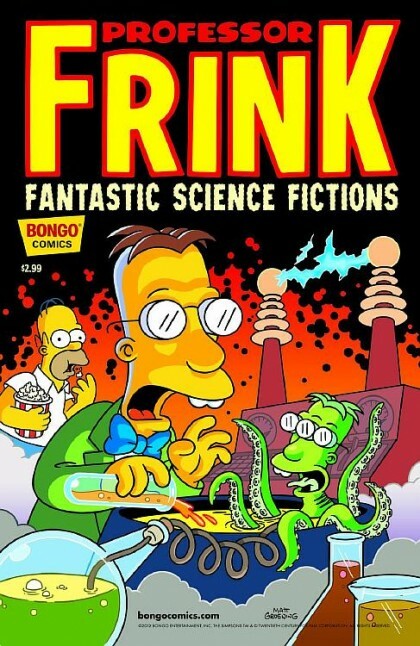 JUSTIN’S PICK :: PROFESSOR FRINK FANTASTIC SCIENCE FICTIONS #1 : Bongo Comics’ Simpsons line of comics are always a treasure trove of talent, offering maximum entertainment value, with multiple stories in each issue. Choicest pickings are one shots like these, focusing on specific characters from the extensive supporting cast. Professor Frink is a perfect lead for this kind of treatment. I’ve immensely enjoyed this current run of one shots, and I’d recommend any of them to any fan of the show.